Here’s a photo from this afternoon (26th Sept) from Sunderland Hall bridge looking down Boleside. With thanks to James Henderson of The TownHouse Hotel, Melrose for the images. River is still big, but is falling despite there being 3 further flood warnings for the Eddlestone up at Peebles which has caused the gauges up there to rise. 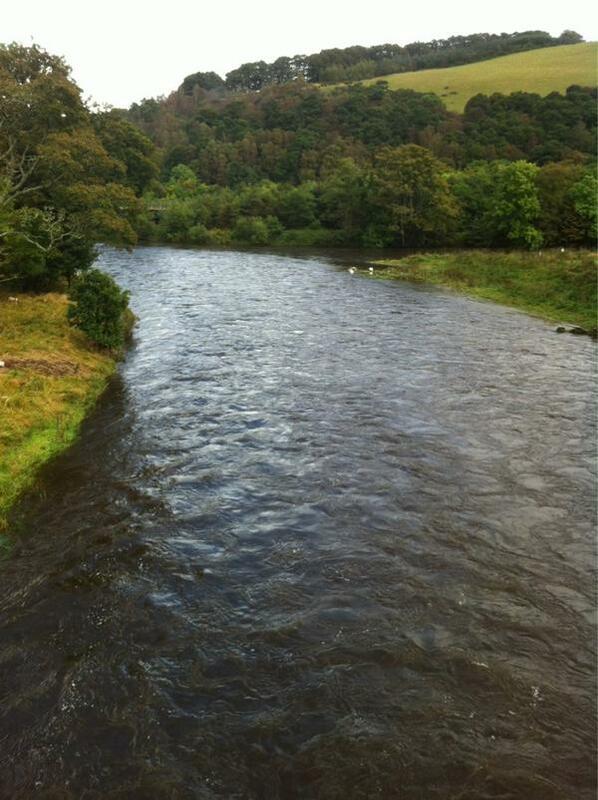 The rain is now subsiding and little is forecast for the Peebles area as the light to gentle breeze swings round from the North to the West by tomorrow and we return to more normal westerly airflows (whatever they might be after this extraordinary summer!) What showers there are will tend to be short and sharp they say, let’s hope ‘they’ are right. 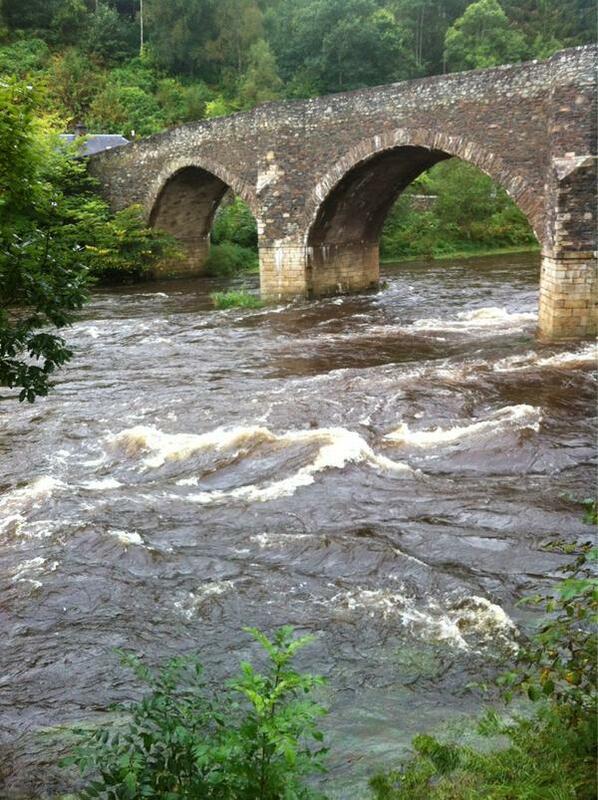 Also from James, this picture of the Yair Bridge showing the river is still carrying a lot of water and colour today.